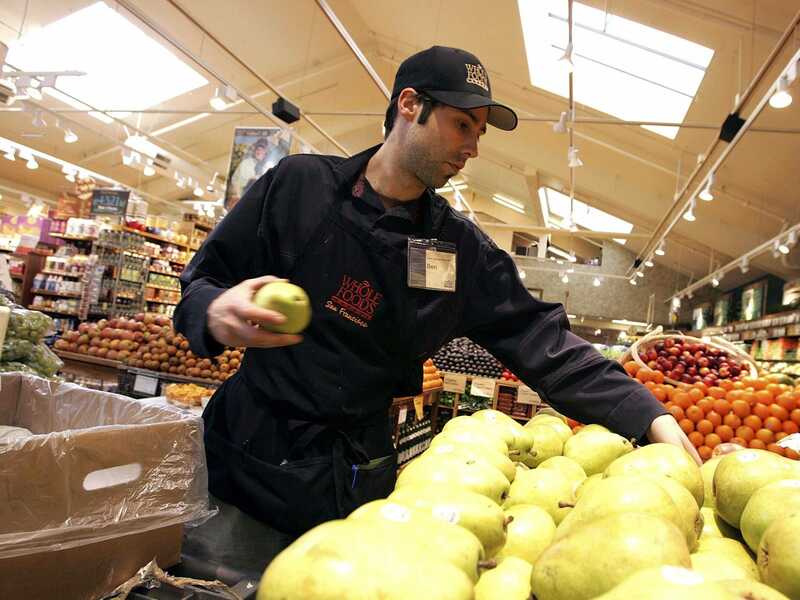 One of the most high-profile adopters of Apple’s new payment service Apple Pay is Whole Foods. A couple of weeks after Apple Pay launched, payments expert Mike Dudas estimated that Apple Pay already accounted for 1% of all Whole Foods transactions — a startling amount given that Apple Pay is only available on a minority of iPhones, that Apple Pay is new, and that Apple Pay arguably doesn’t offer any real advantages over a credit card. This apparent success triggered a burst of enthusiasm about Apple Pay. Well, I shopped at a Whole Foods today for the first time in a while. While I was paying (with a credit card), I asked the cashier how many people used Apple Pay. I was going to remind her, but then she remembered. Had the cashier been trained to use Apple Pay? I said you needed an iPhone 6 and an authenticated credit card, etc. This morning on Twitter, someone said that cashiers at the Whole Foods in Palo Alto, California, say that “75%” of people there use Apple Pay. If that number is exaggerated by a whole order of magnitude, it’s still impressive. But at the Whole Foods in Hyannis, Massachusetts — which is not a total digital backwater — it doesn’t seem as though Apple Pay is taking the world by storm.